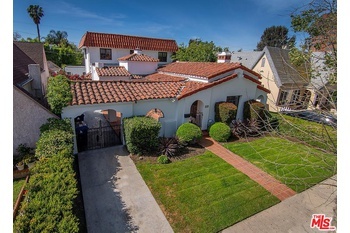 STUNNING AND ULTRA-SPACIOUS COURTYARD SPANISH IN BEVERLY GROVE. 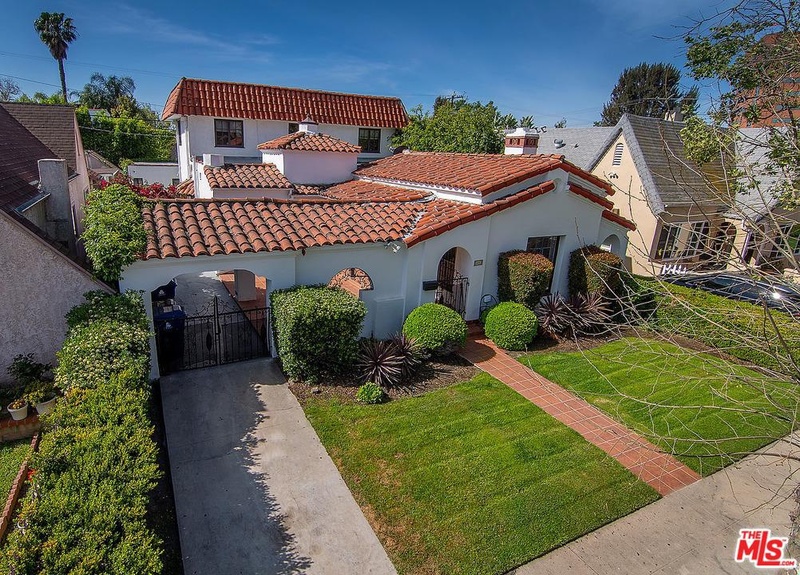 Enter this beautifully remodeled, two-story home through an enclosed front courtyard into a foyer entry leading to a grand living room with fireplace and picture window with period stained glass. There is a formal dining room and a fully redone gourmet kitchen with separate breakfast and laundry rooms. The first level boasts a large master suite, an additional guest bedroom/office/den and a sun room. The second level features another luxurious master suite, two additional bedrooms with a full guest bath, and a large private patio. Additional features include a detached finished guest/flexible room and grassy yard, central AC, recessed lighting and period details such as wainscoting, French windows, peg-and-groove hardwoods and built-ins. Ideally located just steps from Third St., the Grove and Beverly Center, don't miss this rare offering.